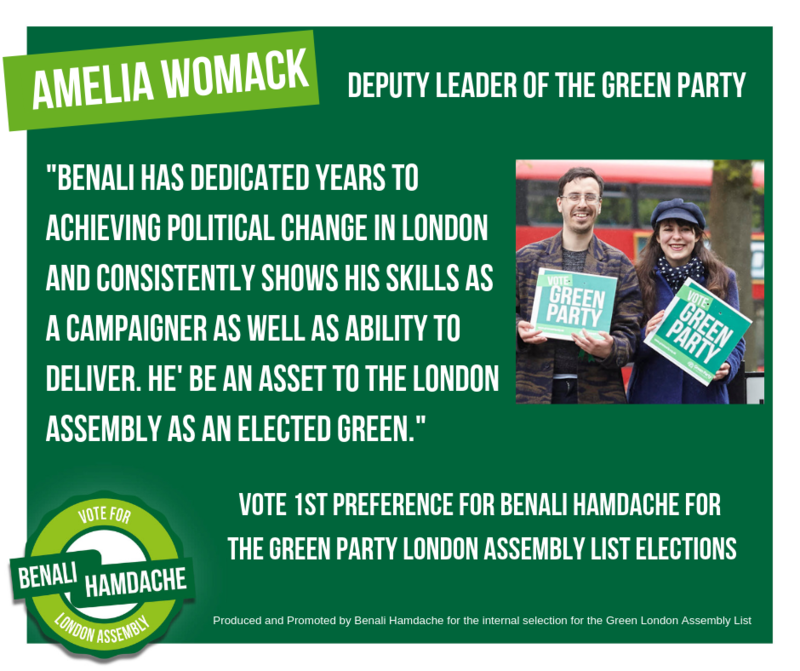 In 2020 London Greens have an excellent opportunity to run our best ever London Assembly campaign. 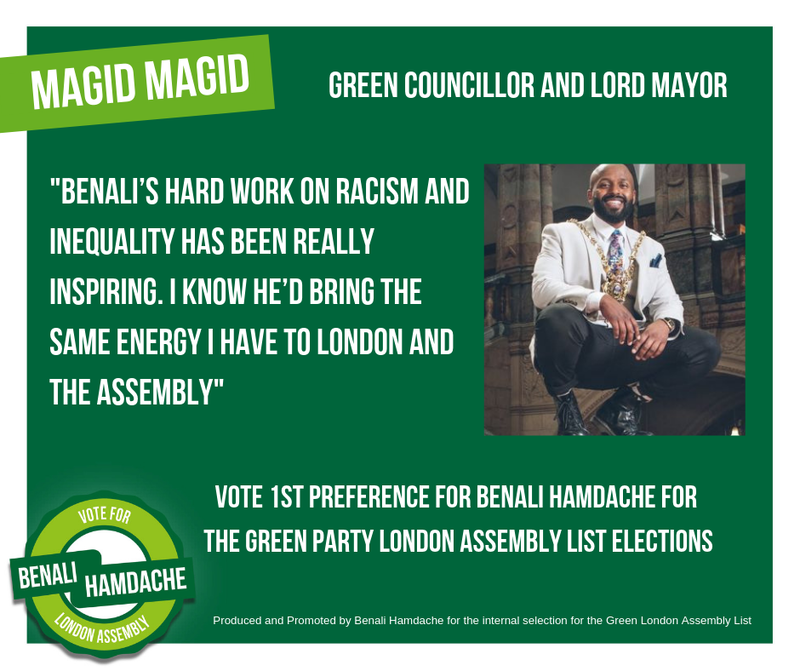 I'm putting myself forward because I believe we desperately need more ethnic minority representation in a city as diverse as London. I'm an experienced Green campaigner, having been our party's Equalities Spokesperson and co-author of our LGBTIQA+ and BAME manifestos. At the recent local elections I just missed out on becoming an Islington Councillor, coming only 73 votes short. I'm a passionate campaigner against inequality and have worked hard on challenging racism, homophobia and all types of discimination. Over the last 6 years I've co-authored motions on tackling these issues at Islington Council as well as our party's own policies. As an Assembly Member I'd have a laser focus on tackling issues of discrimination and working hard to broaden our party's appeal.